In my print copy of the NYT yesterday, two notable obits, for Ralph Sharon (the musician) and Richard Dysart (the actor). Ralph Sharon, Tony Bennett’s longtime accompanist, who in the early 1960s persuaded Mr. Bennett to sing a song originally written for a Wagnerian contralto — about the fond intersection of a large muscle in the chest with a Northern California city — and in so doing created a Grammy-winning standard, died on March 31 at his home in Boulder, Colo.
That would be “I Left My Heart in San Francisco”. Richard Dysart, a character actor who specialized in lawyers, doctors and other authority figures — most notably Leland McKenzie, the founding partner of the law firm McKenzie, Brackman, Chaney & Kuzak, on the soapy-serious prime-time drama “L.A. Law” — died on Sunday at his home in Santa Monica, Calif.
“L.A. Law,” seen on NBC from 1986 to 1994, made him widely known. Created by Steven Bochco and Terry Louise Fisher, the show — which also starred Harry Hamlin, Jimmy Smits, Susan Dey, Jill Eikenberry, Susan Ruttan and Corbin Bernsen, among others [Alan Rachins, Michele Greene, Michael Tucker, Blair Underwood] — focused on the firm led by McKenzie, a sometimes paternal, sometimes ruthless executive who presides over an office full of well-dressed, ambitious, usually greedy and very often randy partners and underlings. Richard Dysart, left, as a founder of a firm on “L.A. 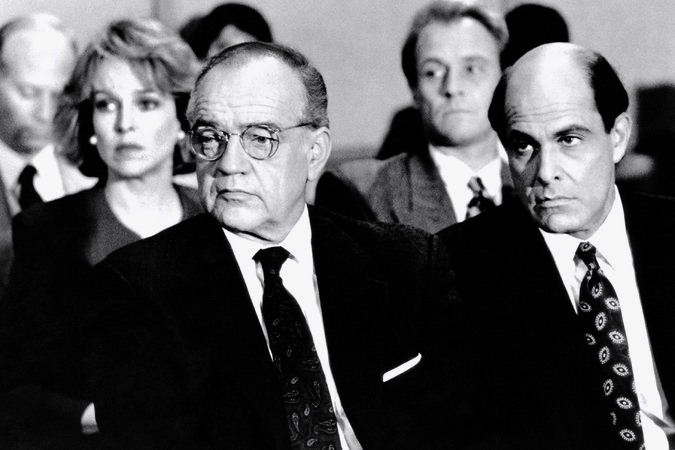 Law,” with, from left, Jill Eikenberry, Corbin Bernsen and Alan Rachins. This entry was posted on April 11, 2015 at 6:43 am and is filed under Actors, Death notices, Humor, Movies and television, Music. You can follow any responses to this entry through the RSS 2.0 feed. You can leave a response, or trackback from your own site.